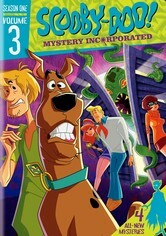 In this animated update of the beloved Saturday-morning cartoon classic, Scooby-Doo, Shaggy, Fred, Velma and Daphne roll in the Mystery Machine to solve paranormal mysteries in Crystal Cove, a hamlet bedeviled by all kinds of supernatural bedlam. 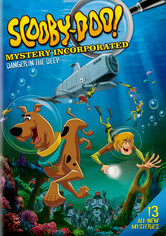 Everybody's favorite mystery-busting hound returns for more mayhem in this collection of animated adventures, which finds Scooby-Doo, Shaggy and the rest of the gang investigating spooky supernatural events in their hometown of Crystal Cove. 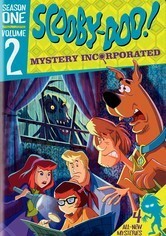 But as the four pals and their pooch unmask faux ghosts and more, the enigmatic Mr. E gives them clues to a much older crime -- the decades-old disappearance of ... four young detectives and their dog! 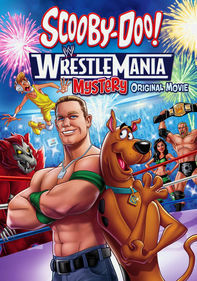 Bogus ghosts and spurious spooks have met their match as Scooby-Doo, Shaggy and the rest of the gang roll out in the Mystery Machine to solve hauntings, monster attacks and other animated mayhem plaguing their home town of Crystal Cove. 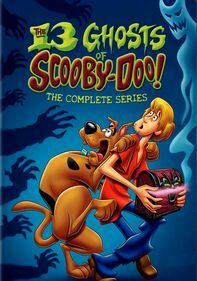 All is not well in the sleepy hamlet of Crystal Cove in these episodes of the updated cartoon classic, which find a mythological beast attacking the townspeople and a burgeoning romance between Shaggy and Velma nipped in the bud. 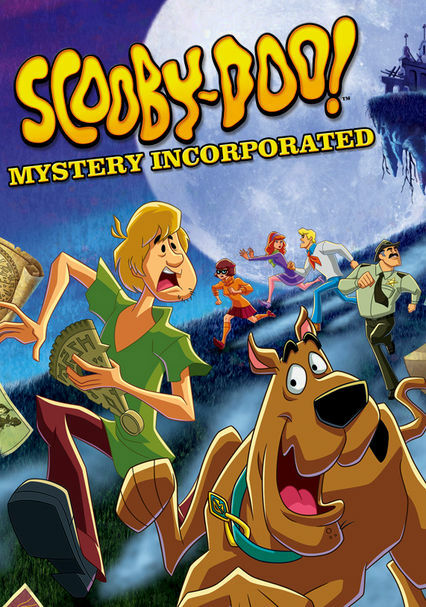 Mystery Inc. has split up, but the marauding antics of Crybaby Clown draw them back to Crystal Cove. With help from brainy newbie Hot Dog Water and sassy Angel Dynamite, the truth behind the mystical Planaspheric Discs is closer than ever. 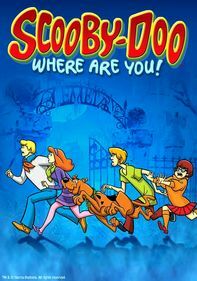 Parents need to know that this updated take on the classic mystery cartoon has some obvious changes that make it more relevant to today's tween audiences (as well as all the faux ghosts and monsters you'd expect from a Scooby series). The teen gumshoes now have parents, they go to school (although they do skip out when a mystery is looming), and they wrestle with "normal" troubles like disagreements among friends. 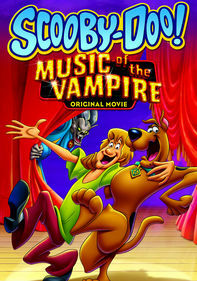 What's more, developing love interests are forefront to the storyline, with Daphne and Velma taking the lead in their attempts to woo Fred and Shaggy. Bottom line? 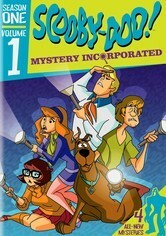 The Scooby Gang's sleuthing is still fun for kids, but the show's modern feel makes it more targeted at tweens. Budding relationships between Daphne and Fred and Shaggy and Velma make for some longing looks and flirting. In both cases, the girls take the lead, making references to their feelings for the guys and even leaning in for unexpected kisses. 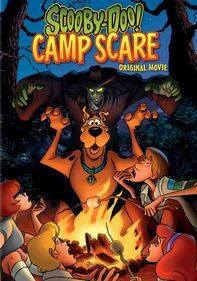 Monsters of all shapes and sizes haunt the teens' town, but they're always revealed to be phonies. No cursing, but some name-calling, like "idiot" and "stupid." The teens use good teamwork and critical-thinking skills to follow clues to their eventual conclusion. 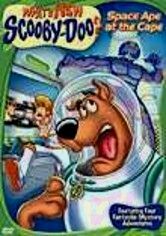 Overcoming fears is another common theme, as Shaggy and Scooby learn to face down monsters rather than running from them. 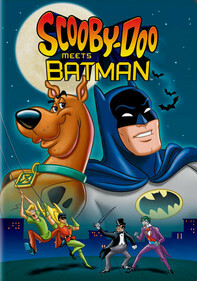 The series is tied to a long-lived line of other TV series, movies, toys, games, and other merchandise.